Alongside his Formula 1 role with Manor Marussia F1 Team this year, the American driver consolidated his position in the high calibre GP2 Driver Ranking. 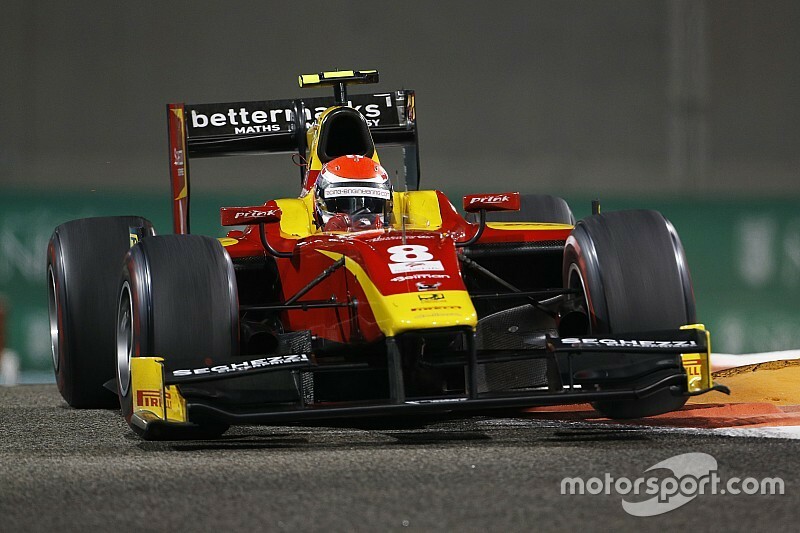 Alexander Rossi secures 2nd Place in the 2015 GP2 Series Driver Ranking after a very strong season-long campaign, his first full season in the series. Alongside his Formula 1 role with Manor Marussia F1 Team, Alexander was able to secure the Vice Champion position this weekend in Abu Dhabi, after another strong race performance saw him claim enough points to consolidate his position in the high calibre GP2 Driver Ranking. The last round of the 2015 GP2 Series began at mid-morning on Friday in Abu Dhabi with typically warm weather, and air and track temperatures of 28°C and 33°C respectively. Given that qualifying and the feature race would be held in the evening with very different conditions expected, all teams made use of the 45 minutes of the morning free practice mainly for general testing, without looking for optimal performances. I’m very happy that I made the decision to finish the 2015 GP2 Series season alongside my Formula 1 role. Nevertheless the Racing Engineering driver was always among the fastest and was one of the first to get close to the 1:50 mark. After completing 14 laps, he finished the session in fourth position with a 1:50.021s. Qualifying was met with cooler conditions, with 24ºC the recorded air temperature and 26ºC on the asphalt. All cars were using the Pirelli 'red' supersoft tyres. Alexander was the first to set a fast lap with a 1:49.855s, and after cooling the tyres, he then improved to 1:48.598s to take 4th position. With ten minutes remaining, Alexander and his teammate Jordan were back on track with a new set of supersofts and the target of improving their times in what would be the final run for all the drivers. 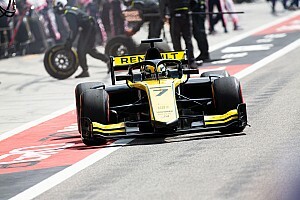 However neither were able to find clear track among the intense traffic in the final minutes of the session, meaning Alexander would qualify in seventh place overall. 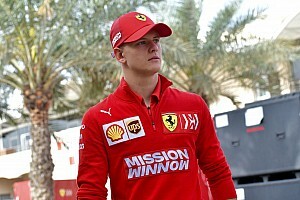 The GP2 Series night race at the Yas Marina Circuit in Abu Dhabi started with Alexander on the fourth row of the grid in seventh position and on the Pirelli 'red’ supersoft tyres. As the lights went out Alexander had to avoid Marciello's slow moving car, causing him to drop a place, however was able to return to P7 by the end of lap one. Soon there was evidence of the different pace between the supersoft and medium compound tyres. The advantage was initially for the cars with the option tyres, and Alexander quickly began closing on the group of six ahead. However, from lap 5 the Pirelli supersofts quickly began to degrade and in just a couple of laps the situation at the front of the field changed dramatically. Alexander was one of those affected by the wearing tyres, losing positions to drop to 11th by lap 7, when he made his mandatory pitstop to take on a new set of medium tyres for the remaining 24 laps of the race. 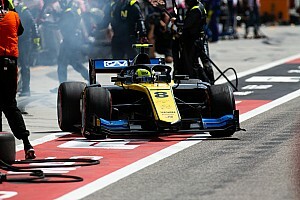 There followed a 'virtual safety car' period as a result of the contact between Nato and Latifi. The American returned to the track in 18th position, and 6th among the drivers who had already made their pit stop. As soon as the race resumed, Alexander made an incredible restart to take Haryanto ahead and started to fly, setting the fastest lap so far with a time of 1:52.864s. Three laps later, after passing Gelael and recovering two more places from Markelov and De Jong, who were both out of the race, Alexander was now 13th, with just three drivers ahead of him having also made their pit stop. On lap 22, Rossi recovered two more positions after two great overtaking moves, the first on Gasly, out-braking him on the long straight of Yas Marina circuit, and then Malja, passing him in a spectacular manoeuvre at turn 11. From lap 24, the final cars made their pitstop with Alexander now up to fourth. In the final laps, he put pressure on Evans, looking for a way to move to third position, however ran out of time to pass, crossing the finish line in a well-deserved fourth that allowed him to score enough points to secure second position in the 2015 GP2 Series Driver Ranking. Sunday’s Sprint Race looked positive, with Alexander lining up fifth on the grid and in a strong position to claim a final podium of the year. After making a great start, an incident further down the field caused the race to be red flagged, and ultimately cancelled due to damage to the barriers. It was an anti-climatic way to end an incredibly strong season, particularly when a podium and potential win was in sight, however Alexander comes away with no regrets in 2015. Alexander Rossi: “It’s been an incredible year in many ways. I’m very happy that I made the decision to finish the 2015 GP2 Series season alongside my Formula 1 role. I have to say hats off to Stoffel who has done a fantastic job as Champion. We had some great battles all year. Today we had the start position and car to win, but with the race being cancelled it wasn’t to be. I’m happy to finish this season on a high, with pole positions, wins and podiums throughout the year.